As the regular season enters the final furlong there are few teams finishing faster than the Oakland Athletics, and their 21-8 record since the All-Star break has propelled them in to an enthralling playoff race in the AL West. 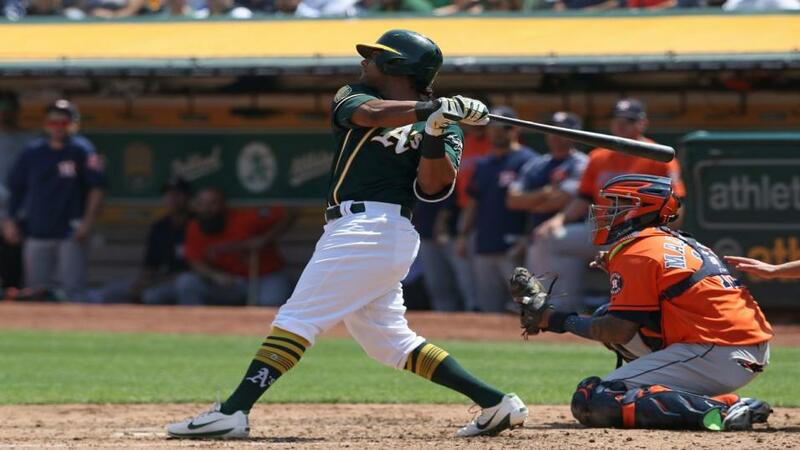 A major factor in Oakland's success has been the power hitting of Khris Davis. The California native has hit four home runs in his last three outings, and last night's long ball saw him tie J.D. Martinez for the most homers in the majors. Tonight, Davis looks to continue his hot streak against the Texas Rangers and all the signs suggest that he will. Rangers' pitchers have allowed 178 homers this season, more than any other side, and have struggled against hitters with considerably less power than the A's left fielder. Davis is on track for his third consecutive season with 40 or more home runs and potentially his first ever home run title; back him to add to his total tonight. The Boston Red Sox and Cleveland Indians are both running away with their divisions and preparing for the playoffs so the current series has added spice, as the two sides could meet again in October. Cleveland lead the series 2-0 thanks, in part, to the work of Michael Brantley, who has three RBIs across the two games and will be looking to add to his total in support of tonight's starter, Carlos Carrasco. Since the All-Star break Carrasco is 4-1 with an ERA of 1.33, amongst the lowest in the league, as he continues to improve on an impressive season. Facing an explosive offensive unit, Carrasco will need to be at his best if he is to secure a series win but I expect the 31-year-old to continue his fine form and earn his 16th win of the season. While the big hitters in the American League are all but securing their playoff spots with weeks of the season remaining, the National League race is considerably tighter. The St Louis Cardinals are the form team in the race, with a record of 16-5 in the month of August, thanks to the bat of Matt Carpenter and the pitching of tonight's starter, Jack Flaherty. The rookie hurler has played three times this month and has an ERA of just 0.95 and will look to continue that form as he faces a Dodgers team who will be hoping to avoid the series sweep. The Cardinals have won 5-2 and 5-3 in LA to take control of the Wildcard race and give themselves a shot at the NL Central title with Flaherty in the best form of his young career and Carpenter only bettered by Khris Davis in recent weeks the sweep looks a huge possibility.